Start A Business - Start An Adventure! Ready to start the greatest adventure of your life? 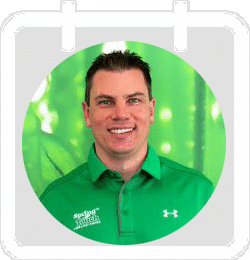 We are a lawn, pest control and irrigation franchise that’s looking for partners who are ready to grow a national brand, not just become another number in a franchise system. Is it time to make a change in your current career and start living life on your terms? Are you ready to become your own boss and live the lifestyle you want? By joining the Spring Touch family, you will be a part of a brand that loves adventure, loves to "work hard, play harder" and loves to be the change in the world! If you love being outside, having variety in your job, and love working with people, then a Spring Touch could be a great fit for you! We are passionate about seeing our franchisee's be successful and running a business with recurring revenue, twelve revenue opportunities and built in time off in a $82 billion industry, is pretty great! Along with our hands-on business and industry experience, we provide our franchisee’s with modern branding, proven systems, amazing strategic marketing, and ongoing support, mentoring and training from our founders. Not to mention all the additional support that’s included in your first year as a franchisee! Whether you are looking to start a business or are looking to partner with a national brand, Spring Touch is an ideal business model for you. Our business model does not require a storefront location and can operate with an owner/operator or with employees, allowing the owners to focus their attention on accelerated growth. Competitive and Value Packed Initial Investment with crazy first year support PLUS Special Veterans Discount! Your first year of strategic Instant Purchase marketing is included in your franchise fee. Gone are the days of an "old fashioned" estimate! Work one-on-one with our founders for training, marketing and business goal planning. Start your finances off right with your first year of professional accounting services included in your franchise fee. Don't miss a customer's call and grow your business by providing excellent customer care by letting us handle your customer's calls! 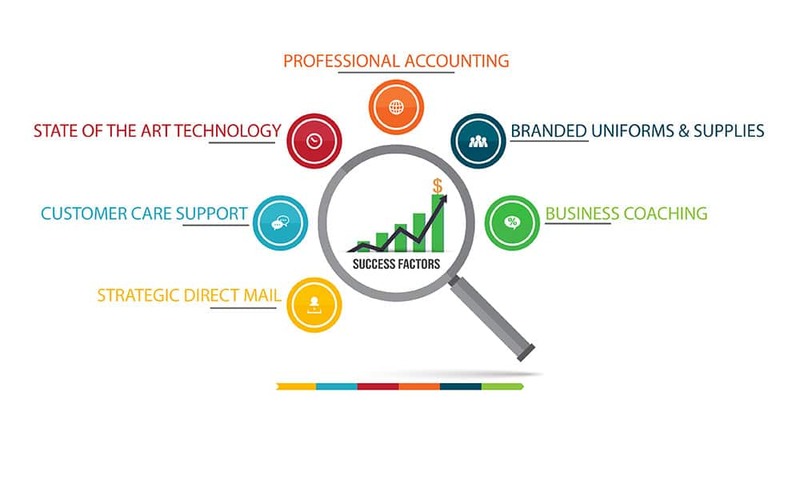 Here are few of the things we consider vital to running a successful business! Maximize your time and take the headache of wearing so many different "hats" away by utilizing our franchisee support. We have identified some of the biggest challenges new business owners face in their first year of business and have included a solution to these challenges in our franchise support system! 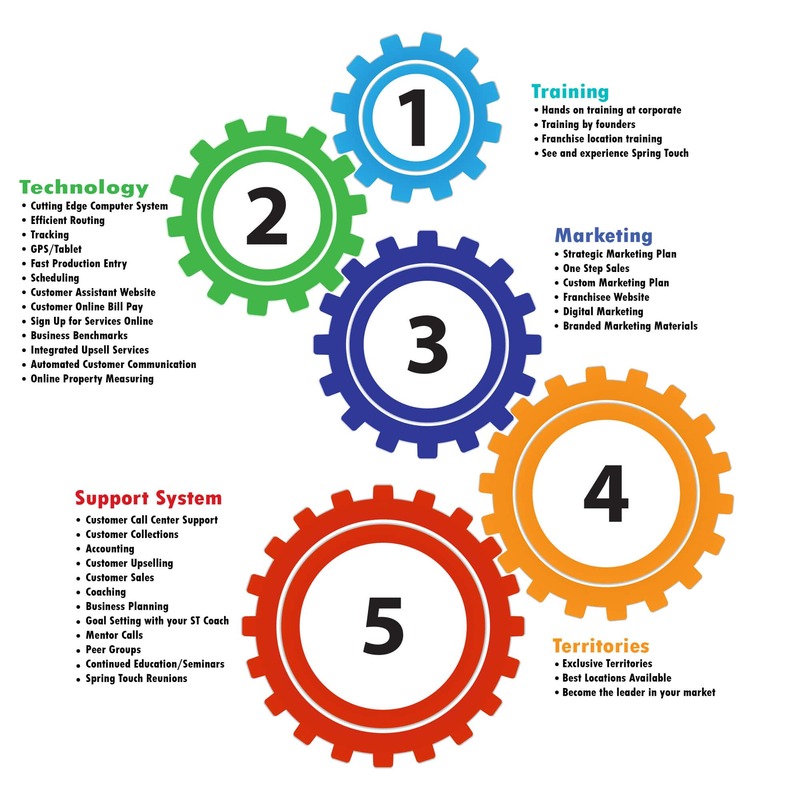 We believe we have created a support system that not only allows franchisee's to be successful, but allows them to take advantage of state-of-the-art technology and practical systems that are currently being successfully used by our Spring Touch in Minnesota. This is where our knowledge of running a business, hands-on, for 45 years comes in handy!